PESHAWAR -- The 'Made in Khyber Pakhtunkhwa' (KP) exhibition, held May 6-7 in Islamabad, is evidence that peace has returned and that the economy is reviving after a decade of terrorism and militancy, local business leaders say. "The objective behind holding the exhibition is to improve the soft image of [KP] and to apprise the world community that our region has recovered from terrorism and that the environment is conducive to investment, both local and foreign," said Haji Muhammad Afzal, president of the KP Chamber of Commerce and Industry (KPCCI), which organised the event. Islamabad was selected as the venue because KP seeks to reach "foreigners and diplomats through which we want to repair the image of our province, which is considered a hub of militants by the outside world," he told Pakistan Forward. "The KP business community faced many problems from militancy, kidnapping and extortion, but now the situation has changed and peace has revived in our region," he said. Army offensives like operations Zarb-e-Azb and Radd-ul-Fasaad have killed thousands of militants and sent others fleeing from previous hideouts. The business community, via the KPCCI, wants to invite investors at home and abroad to take advantage of KP's plentiful opportunities in hydro-electric power, oil and gas exploration, mineral resources, handicrafts and fresh fruits, he added. President Mamnoon Hussain spoke at the inauguration of the event May 6. "Holding the Made in Khyber Pakhtunkhwa exhibition is an indication of the revival of economic stability in the country and contains a clear message to the miscreants that KP has been made safe for investment," he said. The president praised the patience and valour of KP business leaders for persevering through tough odds and unfavourable circumstances. The business community deserves great appreciation for bravely proving that Pakistanis will not be browbeaten by a handful of terrorists, he said. Zulfiqar Ali Khan, former president of the KPCCI, conceived the idea of holding the Made in Khyber Pakhtunkhwa exhibition. "The reason for holding such events is to improve the image of the province," Khan told Pakistan Forward. "Commercial growth in KP is sluggish because of the hesitation of businesses from other regions and countries to invest there," he said. "We decided to hold such an exhibition, not only to display our products to foreigners, but to improve our image," he said, calling the response "encouraging". Last year, businesses booked 60 stalls for the exhibit, compared to about 120 this year, he said. 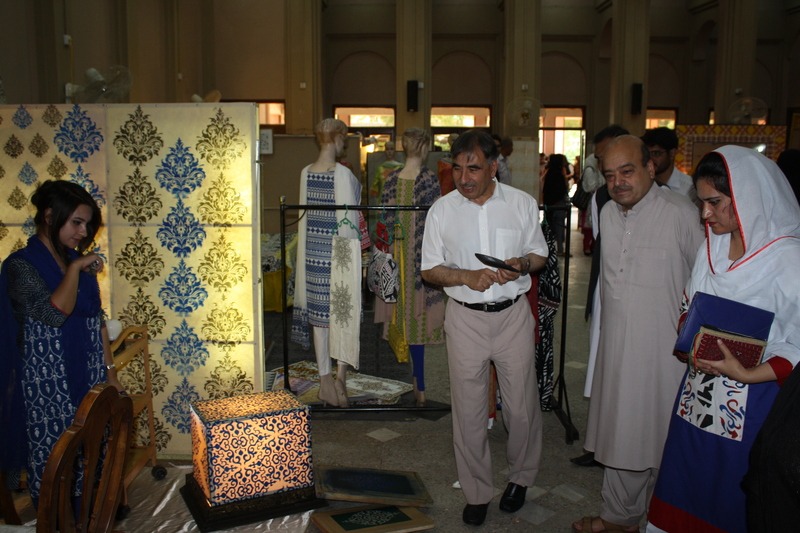 "Thousands of people visited the exhibition," said KPCCI Senior Vice President Muhammad Iqbal. "We were not expecting people to show such an interest in products from KP," he told Pakistan Forward, adding that business investors and also families came by and showed keen interest in various stalls. Representatives from the British High Commission, Spanish embassy and some Central Asian embassies, among other diplomatic missions in Islamabad, attended the exhibition, he said. Senator Ilyas Bilour of the Awami National Party (ANP) called on the federal government to announce a new financial relief package to support the business community in the terrorism-battered region. "The sacrifices rendered by the businesses of KP in the international war against terrorism are exemplary," he told Pakistan Forward. "Keeping in view the sacrifices that KP businesses have faced in losses to terrorism, it is the responsibility of the international community to support the economy of the region," he told Pakistan Forward. The Made in Khyber Pakhtunkhwa exhibition is a suitable platform for displaying the products of the region and for conveying the idea that Pakistan is eliminating terrorism, said Bilour, who is also president of the Pakistan Businessmen Forum. "Terrorism has caused enormous losses to the economy of Pakistan in general and of KP in particular," said Senator Haji Ghulam Ali, former president of the Federation of Pakistan Chambers of Commerce and Industry (FPCCI). "Because of the economic slump in KP from terrorism, thousands of educated youth of the province ... migrate to other countries for employment," he told Pakistan Forward. Peace is vital for progress and for attracting international investment, he said. 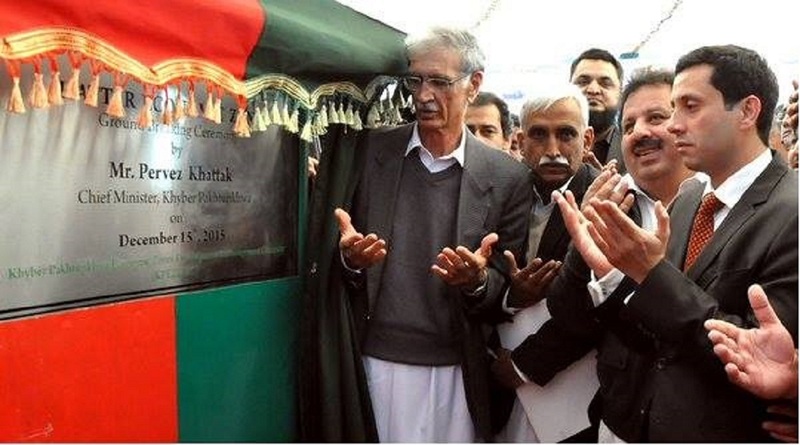 "The Made in Khyber Pakhtunkhwa exhibition will help greatly to remove the blemish from the face of KP," he predicted. 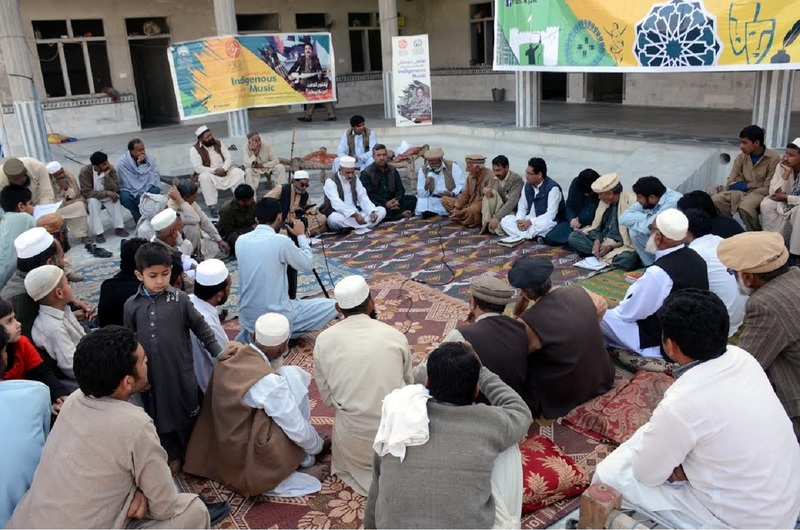 "Such events are essential for conveying a message to the international community about the revival of peace and growth in our region," said Ghulam Dastagir, chairman of the KP Economic Zones Development and Management Company (KPEZDMC). KPEZDMC is planning to hold an investment forum in Abbottabad, where it will invite investors from 25 countries to visit KP, he told Pakistan Forward. "KP has become a hub of commercial activities, and now it's essential to erase the blemish of terrorism," he said. Authorities have planned three months of activities meant to underscore the defeat of militancy. Reminding youth about the peaceful history of the region will promote tolerance and curb extremism, experts say. Special economic zones will create more jobs and protect youth from slipping into the hands of terrorists, authorities say.